How good it’s been to be in Budapest again these past five days and to show my husband, Noel, the sights of this beautiful city. A city of lights, of statues, of amazing architecture, of incredible interiors, of history, of culture, of tempting aromas, and of fun. Truly a fascinating city offering far more than I had ever imagined. 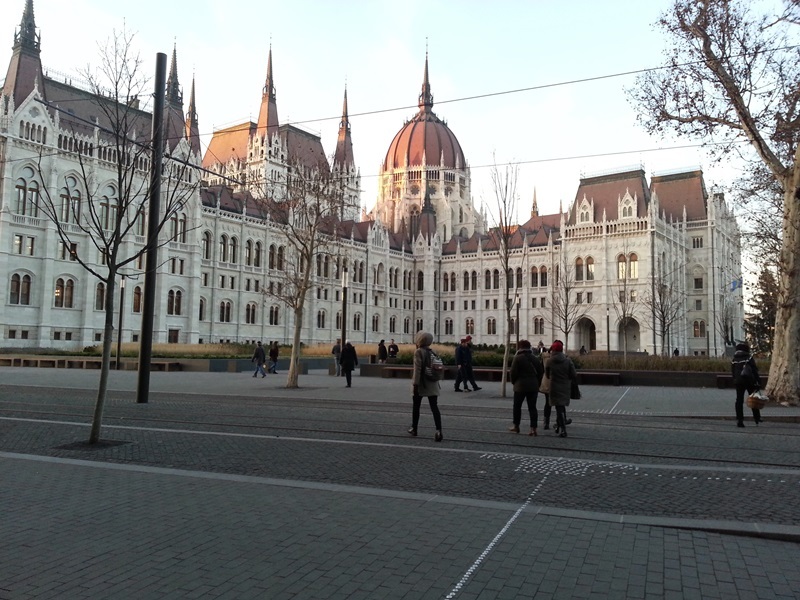 Go right now and put a visit to Budapest on your bucket list—you won’t be sorry. 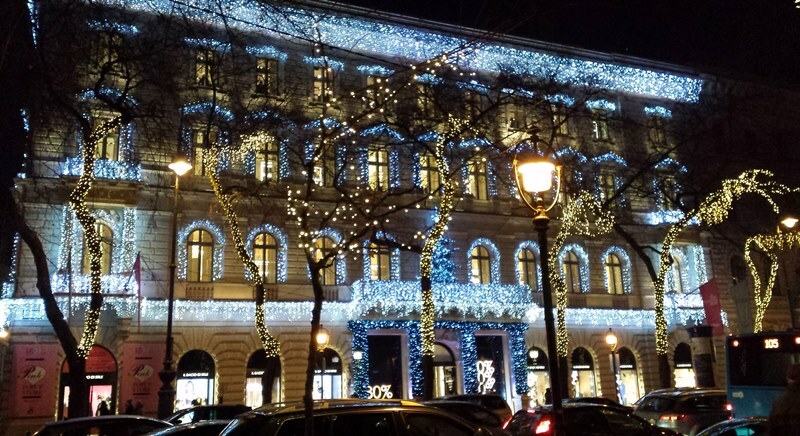 City of Lights: Christmas lights line the city streets, aging buildings, and trams, while spotlights illuminate amazing architecture, bridges, and statues. 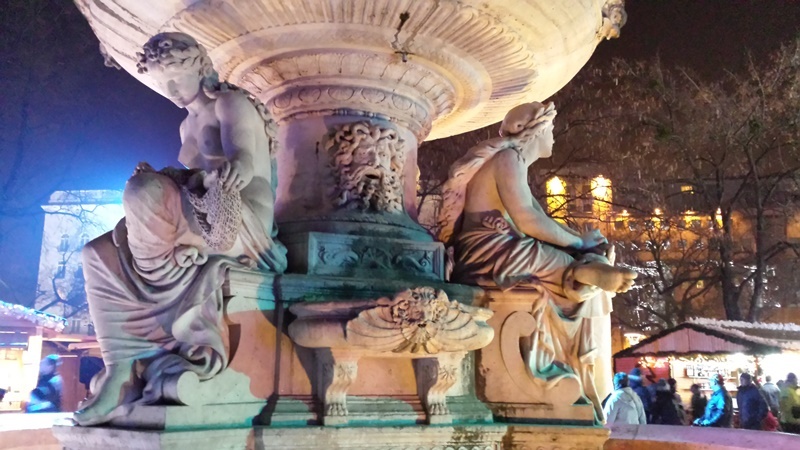 City of Statues: Heroes, Heroines, Saints, and Kings are forever entombed in a brazen hue. City of Amazing Architecture: Castles, Chapels, Basilicas, Hotels, Houses of Parliament, Synagogues, Museums, Stations … they all feature exquisite craftsmanship. City of Incredible Interiors: Almost every building you enter, whether it be a coffee shop, hotel or basilica has a unique interior. Of special fascination are the roofs. You would have seen some of those from the Basilica photos in last week’s blog. The interior below is from a wonderful coffee shop called Lotz Bookcafe where we each had a speciality hot chocolate…which was literally like drinking melted chocolate. City of History: Budapest is a city filled with history but what intrigued me most was the amount of Jewish history. Not surprising though as, prior to the holocaust, Hungary had the largest population of Jews outside of Israel. A huge percentage of these were murdered during the holocaust. Many memorials to the victims have been erected. We saw the mass graves at the Great Synagogue. 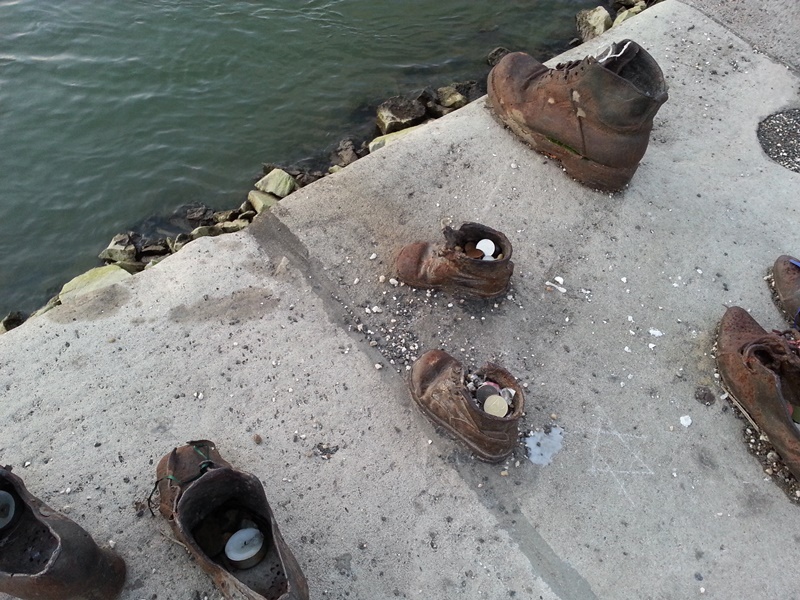 The thing that touched me most though was the Shoe Statues along the Danube River. During the holocaust, Jews were lined up beside the river, told to take their shoes off, and then shot. Their bodies would be swallowed up by the river below. City of Culture: Opera is huge in Budapest and very affordable (depending where you sit, of course). The Nutcracker was showing this past week but unfortunately tickets were sold out. We were fortunate though when we visited the Basilica to have an orchestra playing live there. City of Tempting Aromas: Budapest is alive with aromas. Two of my best were the Chimney Cakes sprinkled with your choice of vanilla, chocolate, almond, cinnamon, walnut, and hot mulled wine in a variety of fruity flavors. Another tempting aroma was chestnuts roasting on an open fire. 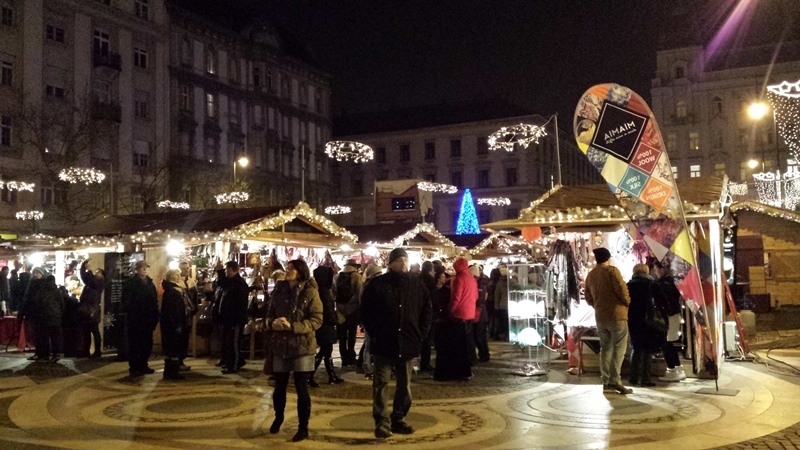 City of Fun: Christmas markets, an ice rink in the park, Ferris wheel, Segway city tours, Horse drawn carriage rides, Danube River cruises…just a few of the fun things to see and do. 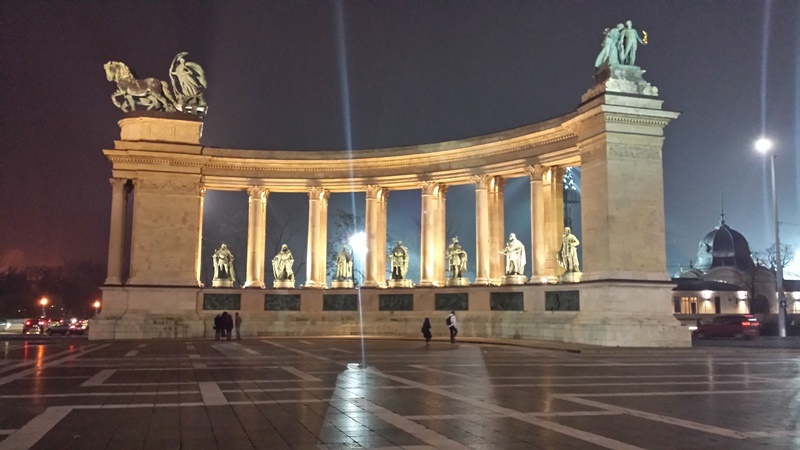 A Fascinating City: Budapest is simply fascinating. We went to the Invisible Exhibition where we saw…nothing. For one hour we went about blind as we lived the life of a blind person. We felt our way in pitch darkness through a virtual apartment, then out into the “street” to the market to get fruit. After that we walked through a forest to a woodcutter’s cottage, then to a museum and finally a pub where we ate chocolate and drank a coldrink (if we had coins with which to pay). And of course, our guide was…a blind person. It was a real eye-opener into the world of the visually impaired. Another fascinating concept we were introduced to was the ruin bars. We visited the most famous one, Szimpla. All over the city, ruined buildings have been “renovated” to be used as bars. As you can see, the ruined look is very much part of the theme of this enormous multi-level, multi-roomed city bar where nothing goes to waste. Bicycle tyres are used for tables, and carrots are sold and served by the bunches instead of peanuts. Today, as you read this blog, I’ll be making my way from Helsinki to Lapland, home of Santa Claus. There’s still so much Noel and I want to still see and experience in beautiful Budapest. The fascinating sweet shop I wrote of in my blog last week, the chocolate shop, the drinking chocolate bar, the Peanut Bar (which is actually called “For Sale”), the Turkish Baths, Buda Castle, the Great Market … Thankfully we’ll be back shortly after New Year and we can finish what we started last week—discovering as much as we can of this amazing city. He needed the island to himself. So did she. Three weeks alone at a friend’s summer cottage on a Finnish lake to fast and pray. That was Adam Carter’s plan. But sometimes plans go awry. On an impromptu trip to her family’s secluded summer cottage, the last thing Eveliina Mikkola expected to find was a missionary from the other side of the world—in her sauna. Determined to stay, Eveliina will do whatever it takes—from shortcrust pastry to shorts—to send the man of God packing. This island’s too small for them both. Adam Carter, however, is not about to leave. Will he be able to resist her temptations? Can she withstand his prayers? Watch the Helsinki Sunrise book trailer on YouTube. Watch the Passport to Romance book trailer on YouTube. Marion Ueckermann’s passion for writing was sparked in 2001 when she moved to Ireland with her husband and two sons. Since then she has published devotional articles and stories in Winners, The One Year Devotional of Joy and Laughter (Tyndale House Publishers), Chicken Soup for the Soul: Miraculous Messages from Heaven, and her debut novelette, Helsinki Sunrise (White Rose Publishing, a Pelican Book Group imprint, Passport to Romance series). Her second Passport to Romance, Oslo Overtures, will be published in 2015. 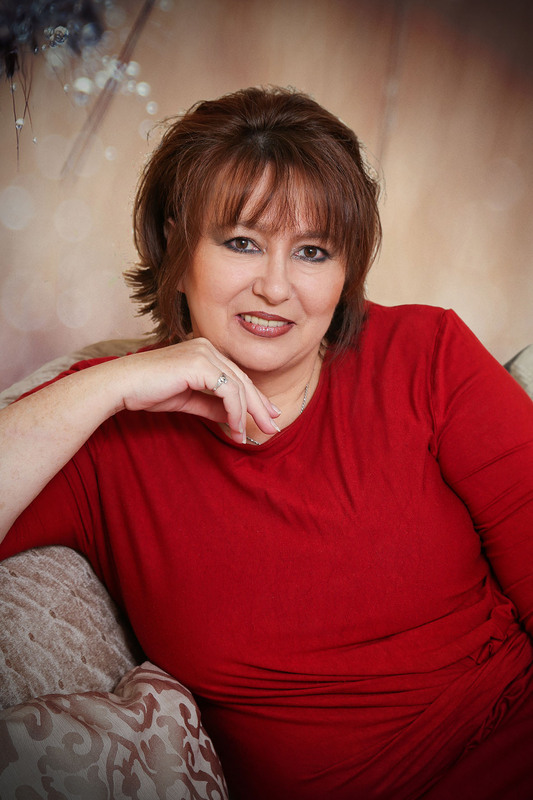 Marion blogs for International Christian Fiction Writers and Beauty for Ashes. She belongs to Christian Writers of South Africa and American Christian Fiction Writers. She lives in Pretoria East, South Africa in an empty nest with her husband and their crazy black Scottie, Wally. Permission to use images obtained. Budapest is such an incredible city. I presume you mean it’s NOW on your wish list 🙂 You won’t be sorry to pay it a visit. I’m looking forward to returning for a few days in January to see the places we didn’t manage to see yet. But for now, I’m enjoying a white Finland. Hope you get to spend some time with my characters in Helsinki, too. Reblogged this on Marion Ueckermann ~ Author.